Every day, we receive several calls from customers who want us to rekey their locks. Rekey locks residential service is, in fact, one of our most sought-after services. Wondering who we are and what does rekeying mean? Read on. 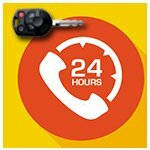 Lost or misplaced keys: If you lose your keys in a crowded area or suspect that they have been stolen by a stalker, immediately have a locksmith rekey your locks. Lost trust: Have you recently lost trust in someone who might have the keys to your house? Worried that they may try to gain access? Whether you have been recently divorced or have had a falling out with a close relative, get your house locking systems rekeyed immediately without a second thought. 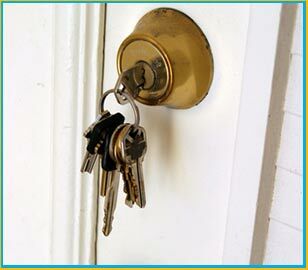 New tenants: If you recently moved into a new property, the first port of call should be to get your locks rekeyed. Old tenants may still have copies of the house keys and can gain unauthorized access. Landlords: If you own a property and have recently evicted an unruly tenant, getting all the locks (garage door, cabinets, etc.) rekeyed is absolutely essential. Our locksmith technicians have ample training in rekeying locks and can work on any type of high-security or standard lock. Rekeying locks is a quick and easy procedure and far less cumbersome than getting your locks replaced altogether. In fact, customers are often misguided into carrying out an expensive replacement instead of getting rekeyed. To ensure that you never fall into such traps, always call us. We have been serving the residents of Boulder, CO for over a decade and are trusted time and again for our integrity and honesty. Avail our affordable rekey residential locks services now and bid adieu to your worries. Call us now on 303-357-8331 !